Have you implemented it on your website? If you’re not sure about that, have a look at your website on any other device than your laptop. If you don’t like what you see or cannot browse through it easily on a small screen, then it’s certainly not mobile ready. If you’re still not quite sure why RWD is so important, you are probably not up to date with the current mega trends. In today’s world, we speak of a new generation that is always connected. At workplace, home, public transport, even on the beach or in a club, we’re in possession of at least one device connected to the Internet. Even while jogging we need a smartphone with an app to track the distance, time, pace, calories burnt. And the number of different devices used for browsing the web is growing constantly with no sign of slowing down. 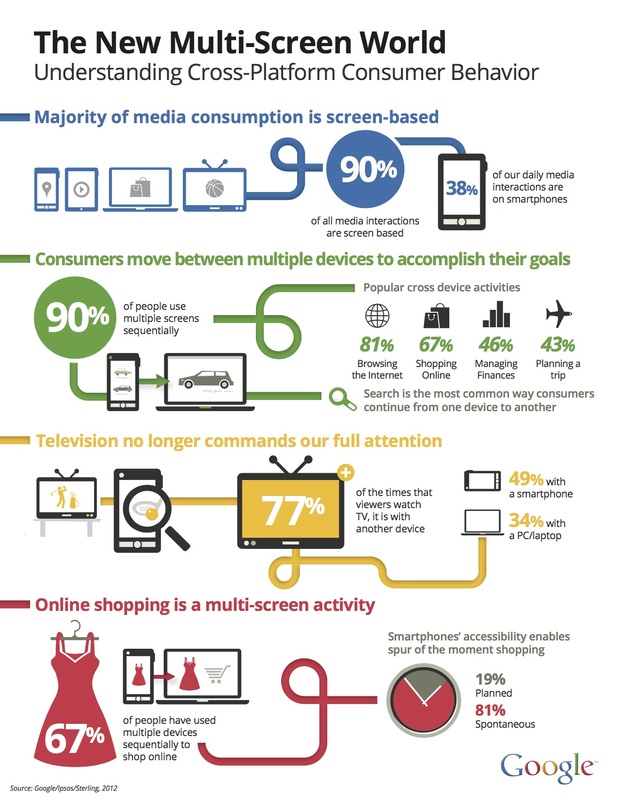 Did you know that over 90% of people use multiple screens one after another? That means that we move between devices depending on where we are, how much time we have and what we want to achieve. This also applies to online shopping. Before making the purchase the customer might first go through your website on their smartphone on the way to work, add an item to the cart while using their laptop at work and finally proceed with the payment on a tablet at home while lying in bed. However, it is not only about keeping up with trends but making your business more effective and beneficial to all the parties involved. 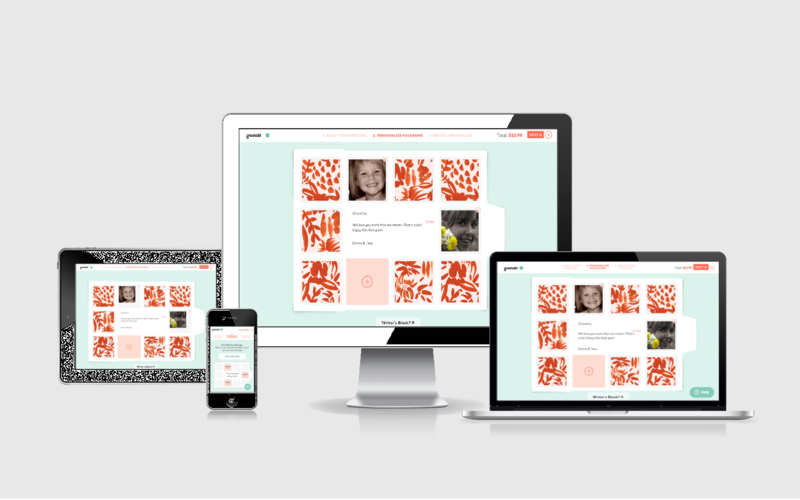 So who will win with a new responsive design? Your customer has a better User Experience and therefore is more satisfied with your service. Thanks to the good memories, they will be more willing to come back to your website in the future and maybe even recommend it to their friends. Happy customers translate to more sales – as easy as that. Also, with mobile traffic and mobile sales increasing from year to year, those who lag behind with websites not ready for a modern mobile shopper will soon be completely out of the game. Think that it doesn’t matter so much since you’re in the B2B industry? Well, it does. Let me give you an example of one of our clients. Believe it or not, but nearly one third of their online traffic is coming from mobile divices. And this trend is definitely on the rise. Developers are usually happier when dealing with up to date technology as opposed to the solutions from the previous century. They want to learn new things and tako on challanges like seamless Customer Experience throughout multiple devices. One website for all devices means easier content management and less hussle. And your marketing team will be thrilled to take advantage of all the new mobile marketing channels. New mobile opportunities for increasing traffic and sales await in the mobile land! Google likes RWD and rewards it in its search result rankings. 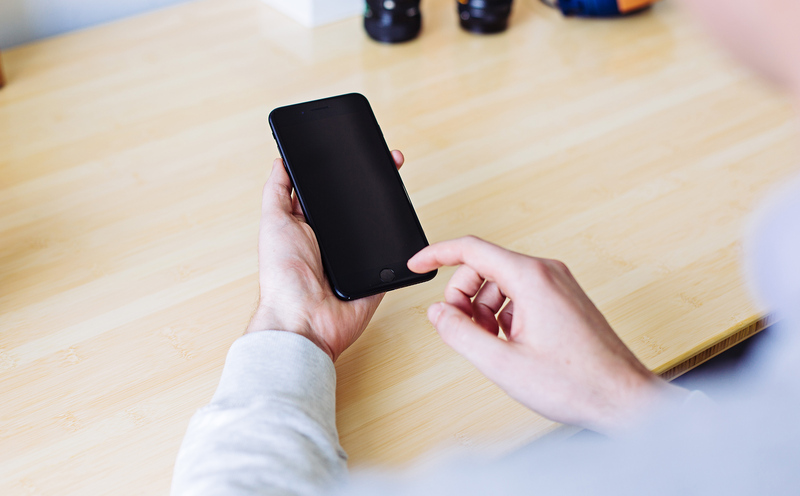 Content optimized for mobile is more likely to appear in your potential customers’ search results. If you’re not there your potential visitors will be directed to your competitor’s site instead. RWD also prevents you from duplicate content issue across multiple sites as well as canonical URLs. What about your online store? Contact us if you have any questions or would like us to help take your business to the next level with a new responsive design.